Autolib charging point in Paris. An electric vehicle recharging point in the Latin Quarter of Paris, France, showing two electrically powered cars (designed by Pininfarina) attached to charging point on the pavement. 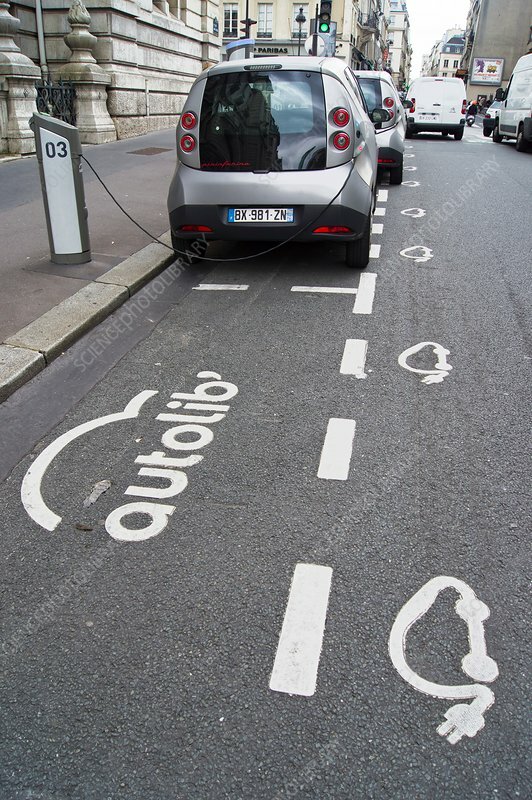 The system is known as Autolib and the graphic painted on the road surface is a representation of a car with a trailing electrical lead.